Thinking about adding an SD43 to this mix. Whatcha think. Too redundant? Would be paying a premium but not a crazy one. At this price a skydweller is pretty close as well. I'm more concerned with loss on resale as I cannot try any of these pieces on before I buy them, so i dont want to get waxed should i not like it and have to resell. Not in my opinion. I have a Sub C and I'm considering getting a SD43 (if I can find one at retail). I would rather add a Daytona C instead of the SD43. Not redundant at all....black bezel, black dial, 43mm, and brushed bracelet. Totally different look than any you have. Would never pay a premium with that collection. There's no right or wrong on this one. 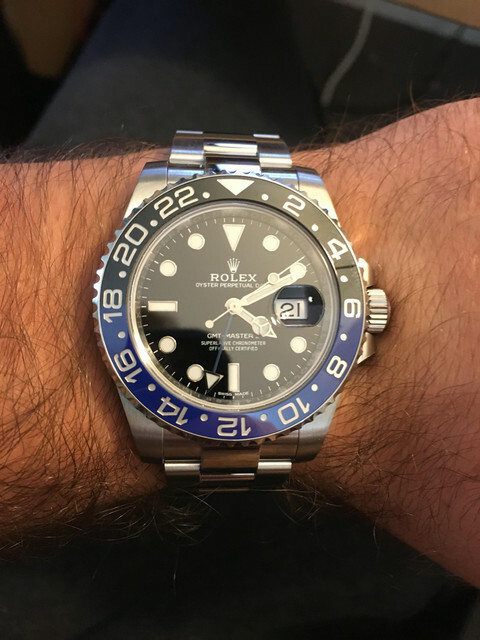 My opinion is it's redundant, but I'm the kind of person who, already having a SubC, won't buy another Sub or GMT, because I find them too similar. 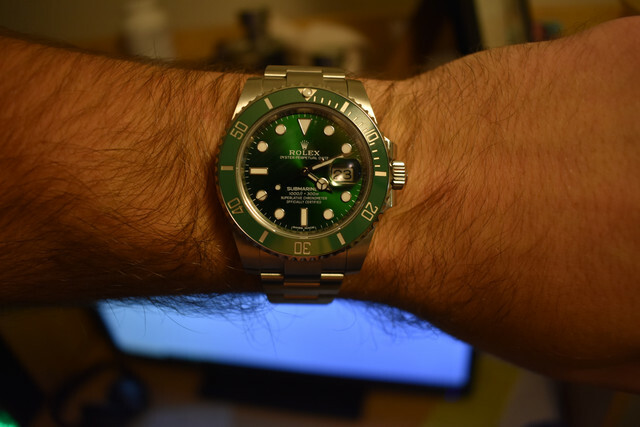 Others just love the Rolex diver/sports model look, and can't get enough of it. So, as always, ask the little man inside you, because he knows all. None of us can tell you. Had a black one and sold it, really wanted white. the premiums are just astronomical. It’s closest to the hulk in appearance, but it’s still not close. It would certainly be a great addition to the collection, that’s for sure. Definitely worth waiting and getting your name on the card imo. Not at all if you ask me. It's a beauty, get it if you can. Very good collection btw. If you decide to add it, I’d definitely wait the 4-6 months to get it from my AD. You have a nice collection mate of sports models. Indeed. I’m sure they’ll start to appear in AD windows before you know it. Add it it’s a great watch and not redundant at all! Get it if you want it. Nice watch. 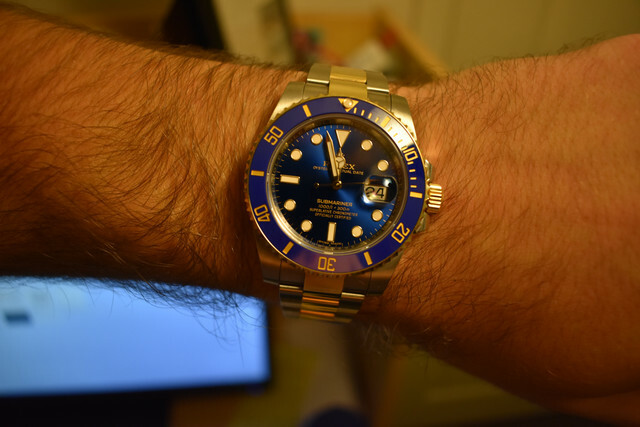 I have 3/4 of those, 15300 blue, blnr and hulk, just got a SD43. So...not in my opinion. Judging from your photos, I think the SD43 might wear a little large on you. I tend to agree with this and I have an SD43 and love it. I blue Sky Dweller would fit in nicely. BUT it would not be a mistake to get it. Being patient and waiting for a AD to get without a premium and have your name on papers would be best in the long run. SD43 is a great option and not redundant given your collection but if you can actually choose a Sky D as an alternative, it's definitely more complementary and would be a better way to round out the lineup. I'm the same, in isolation I prefer the SD43 but not here. 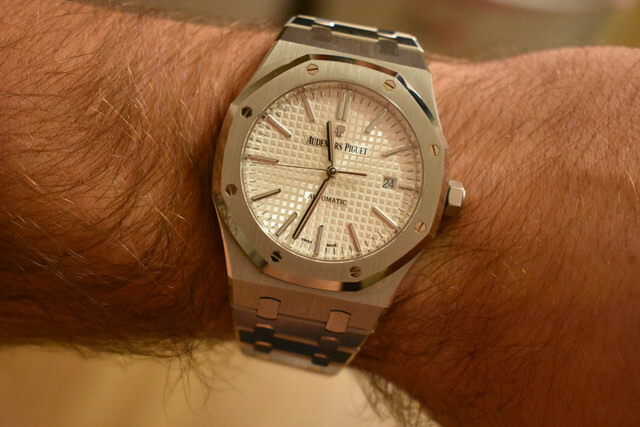 No the 15400 probably wears slightly bigger, esp the white dial. people here never say redundant but always say both. Yeah but check out the Hulk shot. Look where the lugs fall on his wrist. Looks like the Sub is the perfect size. SD43 may be pushing it.